Arora Engineers has officially launched its new brand. Celebrating it’s 30th anniversary and entering an aggressive growth phase, Arora needed a brand that would celebrate booth it’s past accomplishments and the exciting new chapter. 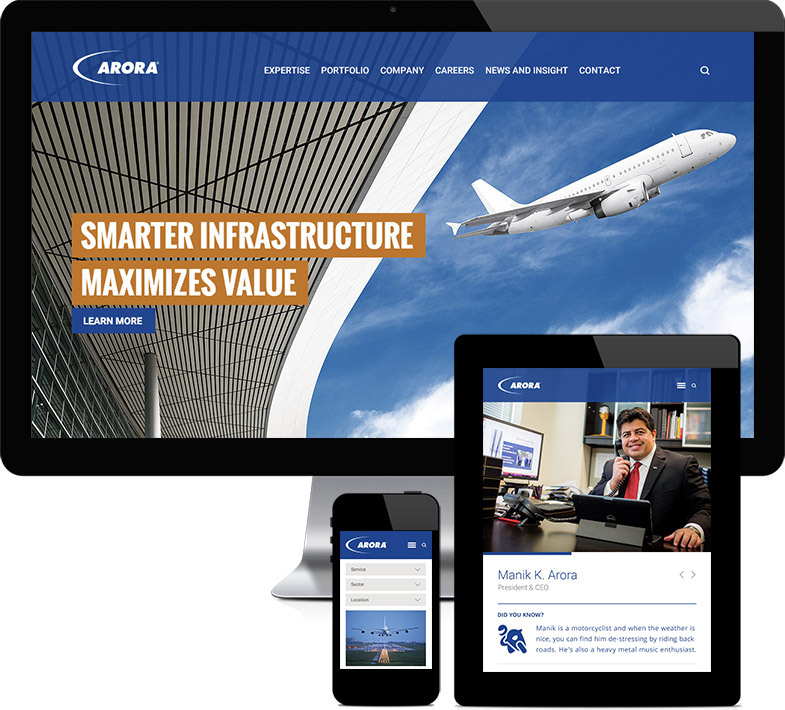 Substance151 has led the development of Arora’s new brand strategy and tagline and redesign of all collateral materials and the website. Substance151 brings a breadth of experience in brand strategy, design and professional services marketing, as well as a strong focus on working with A/E/C firms.